Theyre on a mission from God. 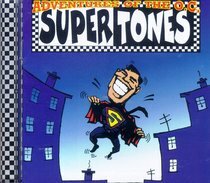 In a style reminiscent of UK band Madness, Supertones are taking their Ska coloured message to the world and beyond! From Tooth & Nail. About "Adventures of the O.C. Supertones"